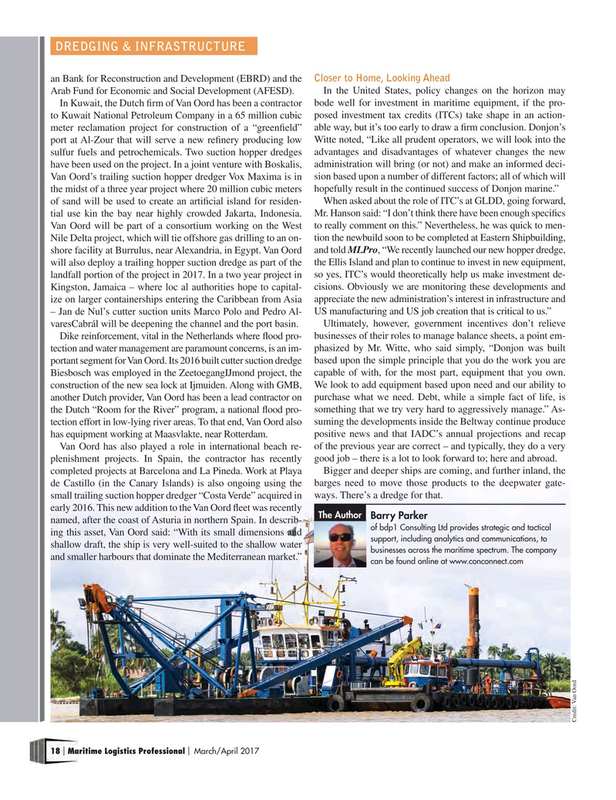 Van Oord has also played a role in international beach re- of the previous year are correct – and typically, they do a very plenishment projects. In Spain, the contractor has recently good job – there is a lot to look forward to; here and abroad. completed projects at Barcelona and La Pineda. Work at Playa Bigger and deeper ships are coming, and further inland, the de Castillo (in the Canary Islands) is also ongoing using the barges need to move those products to the deepwater gate- small trailing suction hopper dredger “Costa Verde” acquired in ways. There’s a dredge for that.